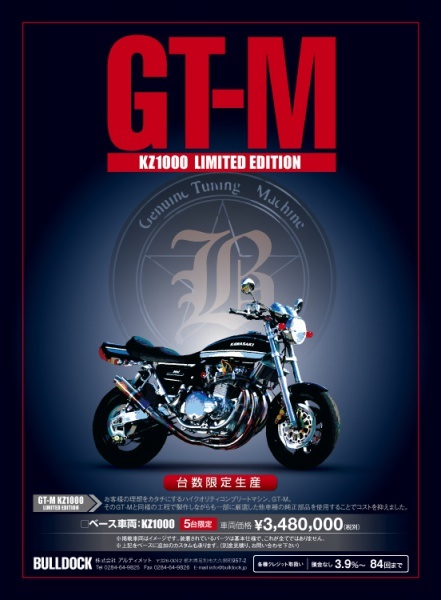 HOME > NEWS&TOPICS > お知らせ > GT-M KZ1000 LIMITED EDITION 5台限定販売中! GT-M KZ1000 LIMITED EDITION 5台限定販売中! Copyright © BULL DOCK inc. All Right Reserved.